NYX is brand I’ve read so many positive comments and reviews about. A firm favourite with beauty Vloggers, the affordable NYX collection is now available in Boots, Selfridges and Feel Unique. 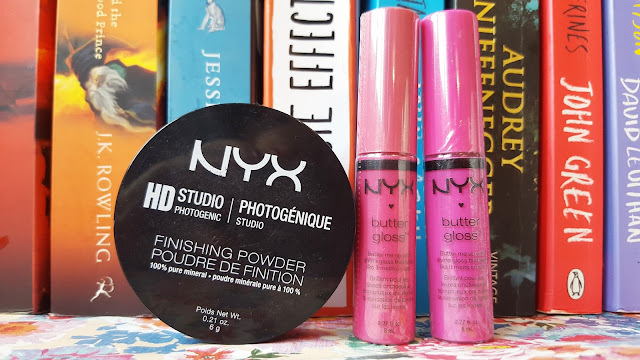 NYX (named after the Greek goddess of the night) is a brand I’ve wanted to try for ages, but with no counters or high street presence yet, I never got around to ordering online – until now. I am a huge believer in using a good quality primer to create an even base and help keep makeup in place for longer, plus I can have a slightly oily t-zone so I was really intrigued by the concept of a finishing powder. The HD Studio Photogenic collection includes a primer, foundation and finishing powder that work together to create an even and flawless base. The white 100% pure mineral silica finishing powder gives a translucent finish that works with all skin tones. Only the tiniest amount of the white powder is needed to set your foundation. 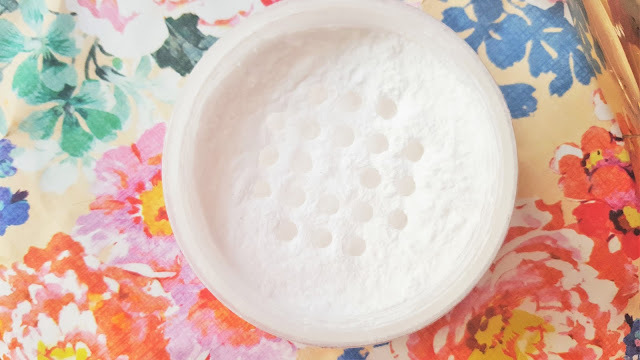 The powder is very fine and incredibly lightweight, trying to apply a lot at once will leave you, and everything around you, pretty dusty so go in lightly and build up to your desired coverage. The powder absorbs excess oil and gives a beautiful, fresh, matte finish to the skin. It keeps my makeup in place considerably longer, especially when used over my nose, forehead and chin, and any other blemish stricken patches I’ve used my concealer over. The colourless powder doesn’t dry out or irritate my skin but brings together my the whole look, helping to give my overall complexion a flawless, soft and shine-free finish. I find that the Bold Metals 103 Angled Powder Brush from Real Techniques is the perfect brush to apply the powder. I picked up three beautiful Bold Metal brushes in a Boots gift set this Christmas for half price, otherwise I’d never be able to afford them. 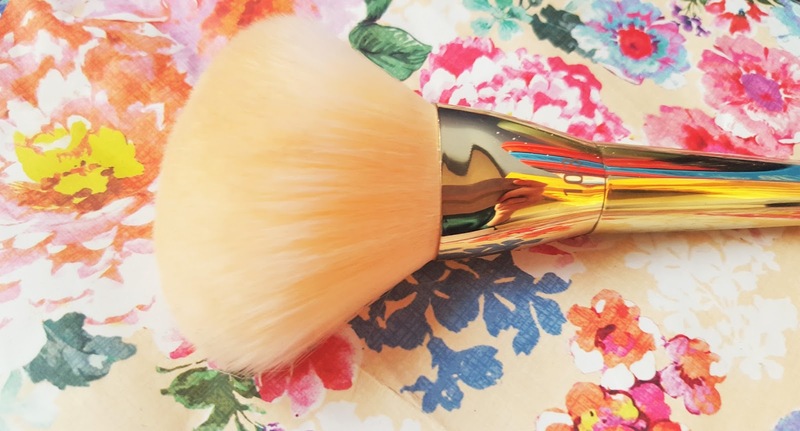 This brush is exclusive to the holiday gift set and consists of a metallic weighted handle that’s designed to sit perfectly in the hand and a huge head containing baby soft bristles that pick up the product with minimal mess and blends loose powders perfectly. 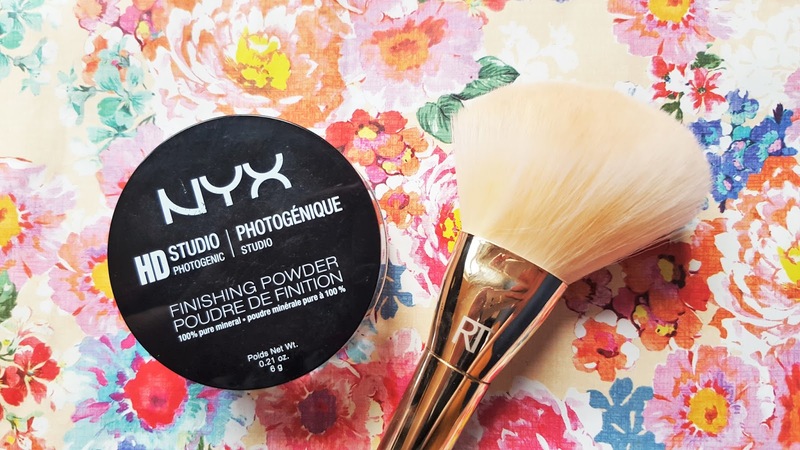 The NYX HD Studio Finishing Powder is a must-have for anyone with oily skin. It helps prevent your base from ‘slipping’ throughout the day and combats shine without giving a chalky appearance or drying effect. Only a small amount of the finishing powder is needed to complete your look, plus the powder itself is extremely long lasting, this little jar should last quite a long time, so I find it’s £8 price tag very reasonable. I’m really impressed with my first NYX purchase and am looking forward to trying more in their collection. 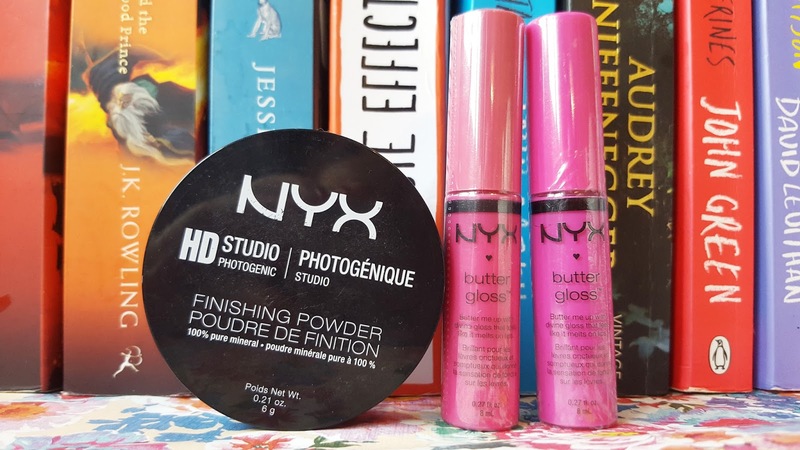 Look out for my review of the NYX Butter Gloss collection coming soon. "Fragrance of the Month | Vera Wang Princess"